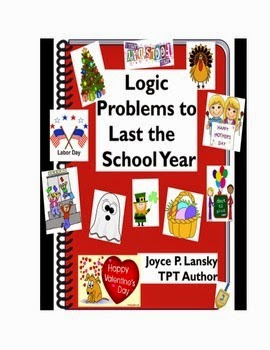 If you teach younger kids, no worries, I have the materials for your kids, too, with Logic Problems to Last the Year (Book II) for grades 1 - 3. This mini version of the original book contains six logic problems surrounding the holidays of Halloween, Thanksgiving, Christmas, Valentine's Day, Easter, and our American Independence Day. These matrix logic problems contain one grid to challenge our bright younger students, but once again, they could also challenge an older child in the regular classroom. 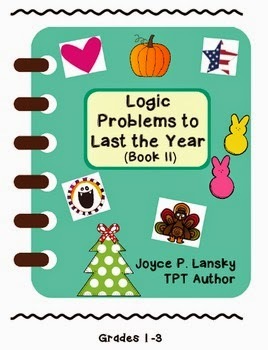 Book II sells for the reduced price of only $3.95.